Aston Martin is getting into... luxury real estate?! 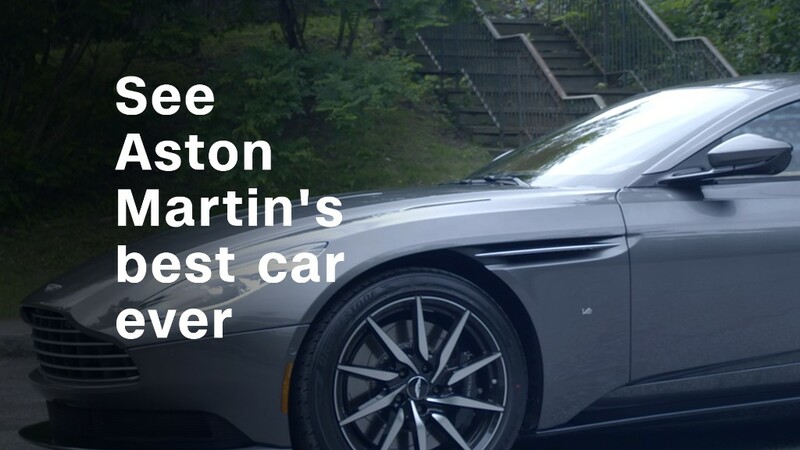 Aston Martin is getting into the real estate business. The British luxury automaker, which is closely associated with the James Bond movie franchise, announced it's partnering with a property developer to build a new 66-story residential tower in Miami, Florida. The companies broke ground on the new Aston Martin Residences on Wednesday, and expect the building will be finished in 2021. A move into luxury real estate may seem unusual for an automaker that's built a global brand based on its high performance cars. But Aston Martin is trying to branch into new sectors outside its traditional niche. Just weeks ago it announced it was collaborating with Triton Submarines to build a handful of luxury submarines with a price tag around $4 million each. Last year, it unveiled a powerboat. It has even collaborated on high-end baby strollers. Aston Martin says it is being very picky about the projects it collaborates on to avoid diluting its brand. "Partnerships only happen if it's the right partner," said Marek Reichman, Aston Martin's chief creative officer. The new curved luxury building, which is shaped like a sail, will feature 391 condos, pools, a virtual golf room and two cinemas. The residences, which range from 700 to 19,000 square feet, are priced from $600,000 to upwards of $50 million. 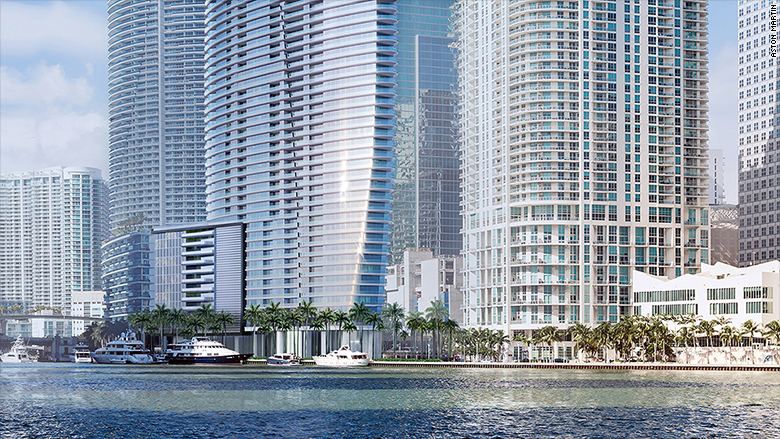 Aston Martin is contributing to the design of this new building, the Aston Martin Residences. The project is being led by property developer G&G Business Developments. G&G CEO German Coto said partnering with Aston Martin would help elevate the status and design of the building. "We realized we needed a brand that would take the whole project to a new [level]," he said. 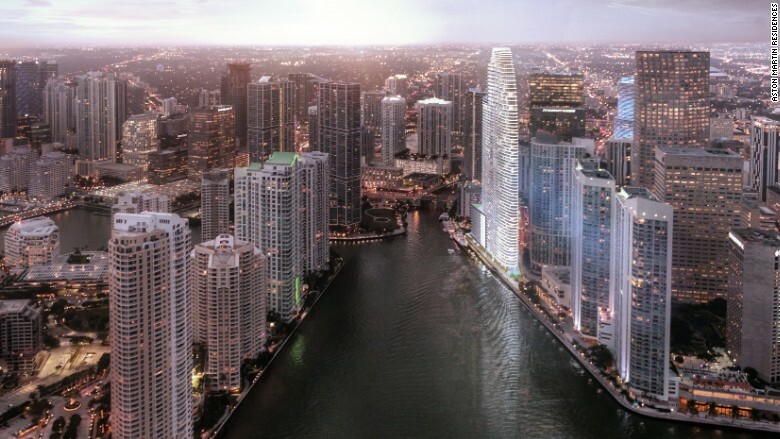 The Aston Martin Residences are set to be complete in Miami in 2021. Aston Martin will design the common areas shared by residents, which will feature "grey and black carbon fiber furniture." It will also work on some exterior elements. The automaker is licensing its name for use on the building. G&G, which has already received $150 million in deposits, expects it will make about $1 billion from the condo sales. 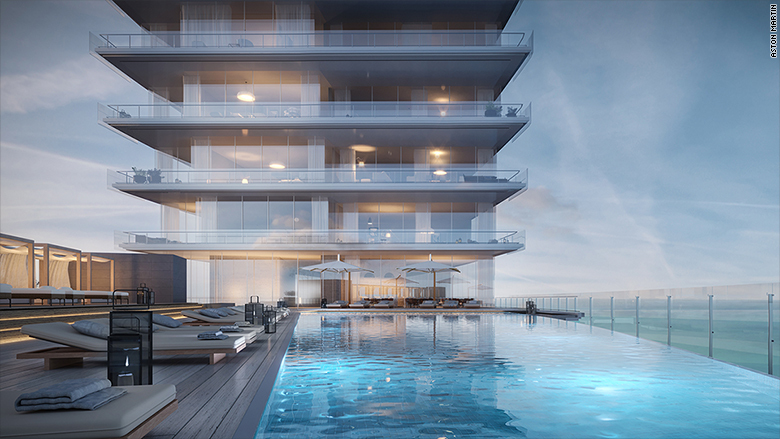 The Aston Martin Residences will have a prime spot by the water in Miami. It's not the first automaker to get into Miami real estate. Another 60-floor tower in the area carries the name of Porsche Design.